Peer-to-peer mobile payment application Venmo reported $8 billion in transactions for the second quarter of 2017, doubling its 2016 second quarter numbers. With this trajectory, analysts believe Venmo could process nearly $85 billion in transitions by 2019. Whether its sending money to a roommate for rent or paying a friend for a night out, P2P mobile payment applications enable faster exchanges, but the numbers also illustrate a growing trend in consumer behavior. A 2016 survey sponsored by the American Bankers Association reported payments by mobile technology will double to $62.5 billion in 2017, before exceeding $314 billion by 2020. Finance industry research firm Aite Group estimates roughly $146 billion in digital P2P transfers in 2017, compared to $100 billion in 2016. The statistics underscore consumer affinity for mobile transactions, with only a few applications dominating the market. According to a Morning Consult poll released in July, PayPal remains the primary choice for online payment. The poll surveyed 2,000 people, with 27 percent saying they used PayPal a few times a year. Moreover, PayPal reported 210 million active users during its second quarter earnings, with 6.5 million added. Overall, the company increased revenue to $3.13 billion in the second quarter, an 18 percent increase from the previous quarter. While PayPal holds the largest share on the market, Venmo (a PayPal owned subsidiary) could challenge their dominance. According to Morning Consult, 11 percent of millennials say they use Venmo several times a day. Coupled with its popularity among a younger generation, and its recent increases, Venmo has positioned itself for tremendous growth in the coming years. Because of a social media component similar to Facebook or Twitter feeds, users can see transfers among friends that include customizable messages (Venmo does allow users to make their transfers private). A transparent payment record on social media has also piqued the interest of marketers and retailers salivating for data on consumer behavior. Venmo has partnered with a dozen other applications and companies, including White Castle and Munchery, a food delivery service. Like credit cards, the merchants will pay a fee, but Venmo allows users to see who purchased what and where, heightening a company’s social media profile. As its popularity increases, Venmo’s fee may serve as a tiny price for access into a larger market. In lieu of rising mobile transactions, several banks have banded together to create their own P2P mobile payment platform. In June, Bank of America, JP Morgan Chase, PNC, Wells Fargo, Capital One and 14 other financial institutions, launched Zelle, an application available to 86 million customers. Unlike Venmo, which is a standalone mobile application, Zelle operates within a mobile banking applications. Zelle ensures transactions are instantaneous with an email address and a phone number, whereas Venmo could take a day or two to show on an account. Zelle offers a tighter security structure compared to Venmo, but does not allow non-participating bank members to enroll. Conversely, the P2P application Square Cash allows users to store money without having to connect to a bank account. Square Inc., a financial services and mobile payment operator started in 2009, launched Square Cash to help business owners and individuals send money via the Square application. Square Cash recently released a physical card allowing users to keep cash on the platform and spend directly from their respective account. Square Cash charges a one-percent fee for those wanting instant access to their funds. During its World Developers Conference in June, Apple unveiled plans to create a mobile P2P platform via iMessage with iOS 11. Currently, iMessage allows P2P applications–such as Venmo—to send or receive payments. This marks Apple’s first attempt at its own P2P system. Apple’s application will let users send and receive payments through iMessages or their Apple Pay account, using a credit and debit card already stored in their virtual wallet. While the technology may prove convenient for Apple users, those with Microsoft, Samsung, Android, or other non-Apple devices will need a third-party application to send or receive payment from apple users. As the market shifts towards P2P mobile payment applications, businesses will continually evolve to accommodate consumers. Although not all consumers are ready to cut cash or debit cards. In the Morning Consult survey, 35 percent expressed a reluctance to use P2P applications because of security concerns. A California man said he was scammed out of $4,300 worth of camera equipment in July after he used Venmo. According to a news report, the man posted his camera equipment for sale before a buyer contacted him. After agreeing to purchase the equipment, the buyer used Venmo to send a series of $100 payments to the sellers Venmo account. After the money was received, the buyer picked up the camera equipment. A day later the seller was contacted by Venmo saying the transaction did not go through. Venmo also told him he was in violation of the company’s policy and they couldn’t recoup the money. According to Venmo’s terms, personal accounts may not be used to receive business, commercial or merchant transactions, unless otherwise specified. On the international stage, mobile P2P applications may serve a larger purpose, especially for rural “unbanked” populations. The GSM Association, a trade body that represents mobile operators worldwide, reported that mobile banking accounts surpassed traditional banking accounts in Sub-Saharan Africa in 2016. 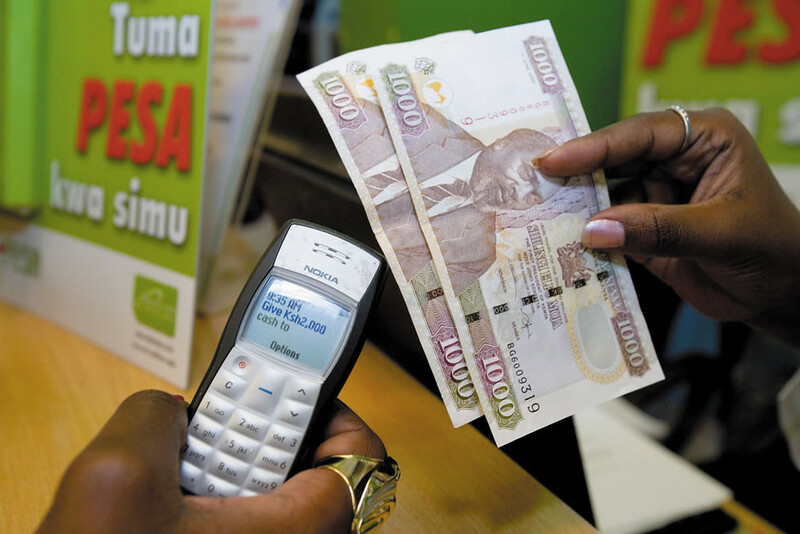 According to the report, more than 40 percent of the population uses mobile money in seven sub-Saharan countries. The statistic in Africa highlights potential financial opportunities for poorer populations around the world. Peer-to-peer applications could give communities with limited financial resources the ability to access savings accounts, loans, money transfers, or remittances. In the United States, Rep. Patrick McHenry (R-NC) introduced H.R. 6118, the Financial Services Innovation Act. McHenry’s bill aims to support financial technology while also creating investment opportunities for regions with a dwindling number of small businesses. McHenry’s bill would ensure loose guidelines for financial technology and innovation, while presenting different possibilities for the public and private sector. “Peer-to-peer banking technology has created a conducive atmosphere for transactions, but as financial technologies evolve, institutions must keep pace with new platforms to appease consumer demand,” says Brett Goldman, DMGS’s Manager of Special Projects, “As this is all happening, financial regulators must maintain a framework that encourages growth while protecting consumers.” DMGS will continue to monitor the growth of mobile banking technologies in the US and abroad.